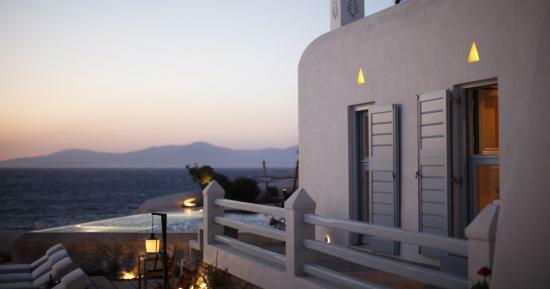 The spacious Hilltop Sea View Suites with Private Jacuzzi are facing the Aegean Sea; walk out of the unpretentious luxury of this suite, a private large terrace is waiting for you to create your summertime memories. 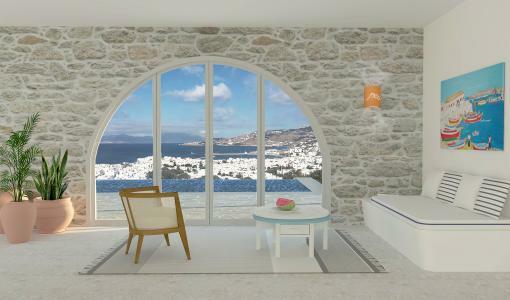 All suites are designed with an open plan architecture and feature a signature Hilltop arch. 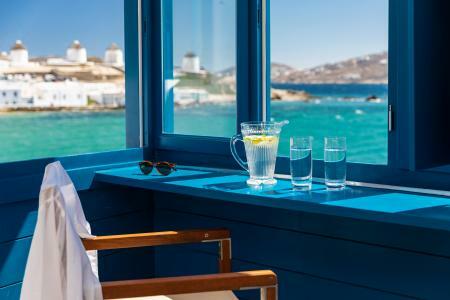 Life can be quite amazing at this suite: Soak in your private jacuzzi and enjoy a magnificent view of Mykonos right from the tub of your private terrace. 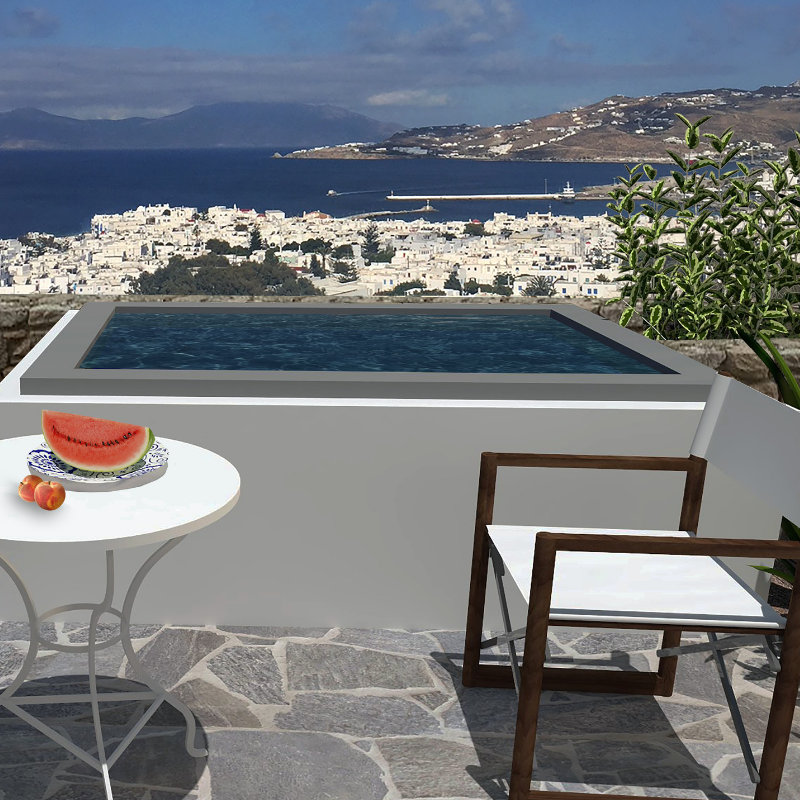 Having breakfast while overlooking the Aegean Sea in the morning can be quite overwhelming! 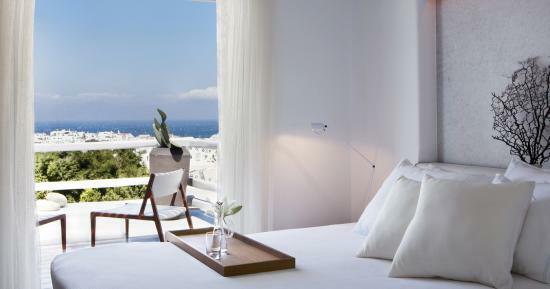 Discretion and individual attention are the secrets to the Belvedere Hotel's continued success. All you have to do is ask your host! Mini BarSafety Deposit BoxesWiFi Internet AccessAnything you want!